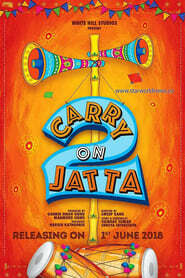 ‘Carry On Jatta’ is an Punjabi romantic comedy starring Gippy Grewal and Mahie Gill in the leading roles. It revolves around the confusing and comic events that arise after Jass lies to Mahie about his family in order to marry her. Cross Connection is a rib-tickling comedy with a definite message to the parents in general and youth in particular. Yoddha The Warrior is the story of a warrior who rises to revenge wrongdoers, with Rahul Dev essaying the role of a antagonist.